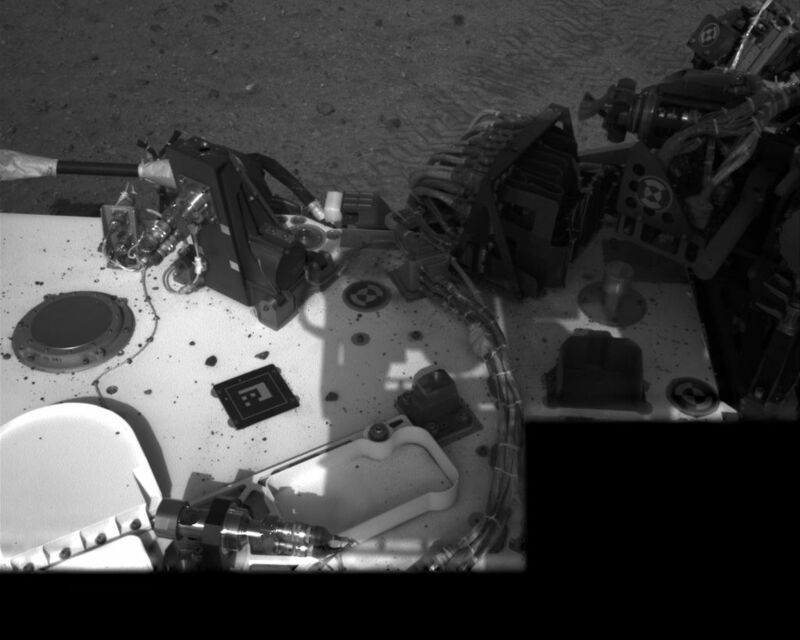 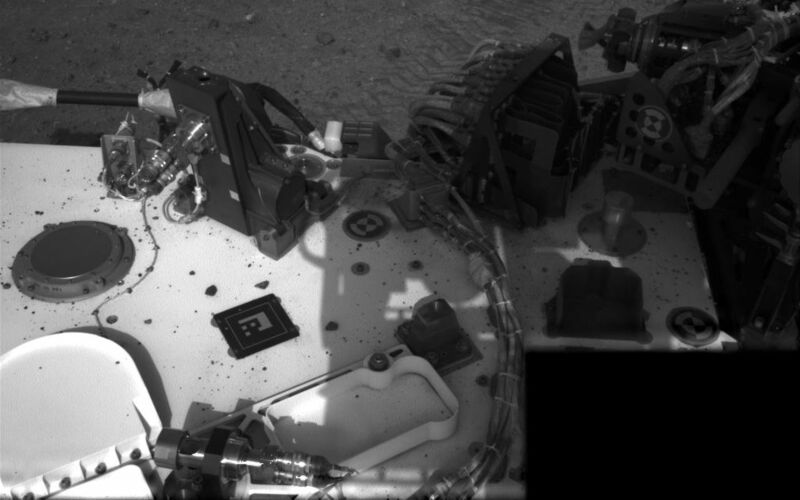 This image taken by NASA's Curiosity rover shows track marks from a successful drive to the scour mark known as Goulburn, an area of bedrock exposed by thrusters on the rover's descent stage. 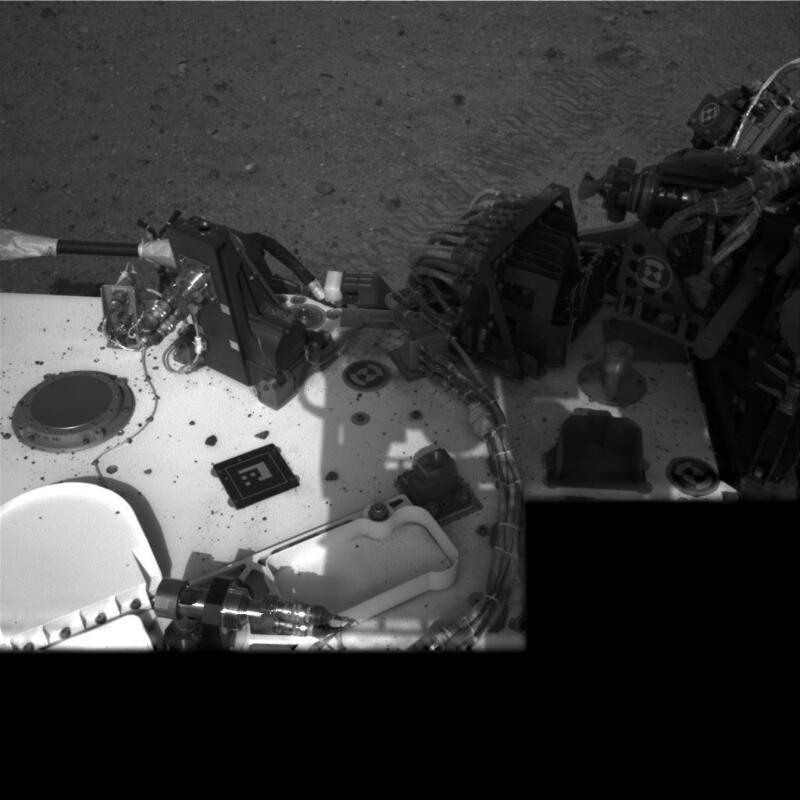 The scour mark cannot be seen in this view. 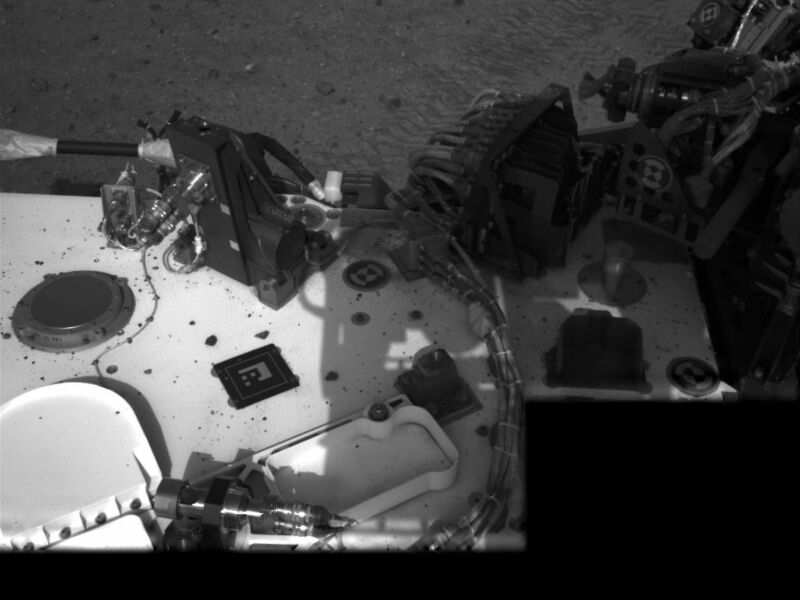 For more about NASA's Curiosity mission, visit: http://www.jpl.nasa.gov/msl, http://www.nasa.gov/mars, and http://marsprogram.jpl.nasa.gov/msl..